We present the wonderful quest games of jewel match 3 games free! This is one of the classic match 3 game launched on Android! This game is very much different from all the match 3 games because of its well designed puzzle and unique gem games. In this jewel quest achieve targets by making match 3 of all the gems and jewels. This is the game meant for puzzlers, who love mystery game though focus and determination is highly valued in this free jewel saga. In jewel quest saga match 3 jewels and overcome all the riddles like stone, gummy jelly , cage in given number of moves. Some levels are time puzzle which makes it one of the most addictive adventure games. 1. Match 3 or more similar gems in this jewel quest. 2. In time mode match as fast as you can to achieve the target. 3. Gummy jelly removes after 3 match. 4. Earn bonus by completing the level in lesser move. In this free jewel quest it is sometimes frustrating but engaging. Gummy jelly are tough to remove so plan before any move. 1. A new kind of 3 match jewel quest for all puzzlers. 2. Try to collect stars in this jewel quest saga. 3. Jewel Quest game for brain exercise. 4. Varied game in each level. 5. Gummy jelly and stones will prove to be major riddle. 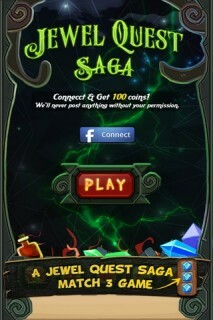 If you love playing matching game then download jewel quest saga for free and enjoy new kind of match 3 puzzle ! The Lost Astra 3D ..